If your heart beats for the arts, then plan an escape to Santa Fe, New Mexico. With a vibrant and growing gallery scene, Santa Fe has become one of the world’s major arts centers without sacrificing its small town warmth. The “art-tropolis” of Santa Fe is divided into neighborhoods, making it easy to jump from gallery to gallery. Lovers of all genres and movements will find something to love. 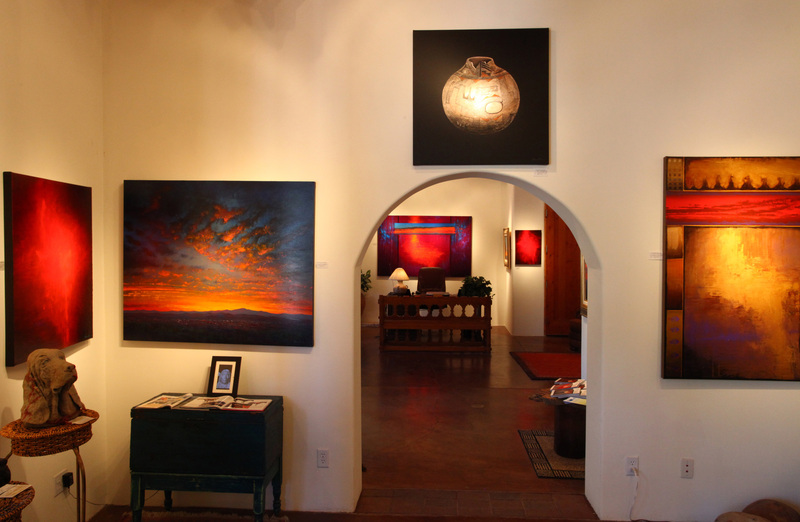 Santa Fe is the only city in the world that can boast over 200 galleries in two square miles. Art collectors can travel to biennial art fairs in Berlin, Miami, New York, or they can come to Santa Fe 365 days a year to experience our unique year-round art fair and view an unlimited selection of artwork by international and regional artists alike. Canyon Road is a great place to start your visual arts voyage. This neighborhood is the bustling heart of the gallery scene with more than a hundred art galleries in a mile long stretch. The Canyon Road galleries have a wide selection of modern, contemporary, Native American, and Russian art. Craving More? The Railyard Arts District houses ten must-see galleries in warehouse style buildings. Besides avant-garde painting, you’ll also find jewelry, exquisite furnishings, textiles, and bamboo pieces. Go international with a visit to the Railyard’s standout gallery, SITE Santa Fe. This dynamic art space, features contemporary photography, painting, sculpture, and installations. Located walking distance from our office is The West Palace Arts Neighborhood. Dive into rich history of New Mexico’s art at the New Mexico Museum of Art and Georgia O’Keeffe’s only Museum. Once finished enjoy LewAllen, Manitou, Peterson-Cody, and Wadle galleries. Combined they represent more than 350 nationally recognized artists! Book your stay NOW and take advantage of The City Different, bring home a piece of your experience. For more information on the array of art opportunities and to book your Santa Fe vacation rental contact Adobe Destinations at 505-471-9186.